The Barbarians have called up women from NINE different nations for their first international assignment against the USA Women’s Eagles next month. New Zealand’s World Cup winners Fiao’o Fa’amausili, Steph Te Ohaere-Fox, Linda Itunu and Emma Jensen are among a 19-strong group announced today. Head coach Anna Richards has also invited players from Australia, Canada, England, Ireland, the Netherlands, Scotland, the USA and Wales with more to be added following the play-off stages of the Tyrrells Premier 15s competition in England. 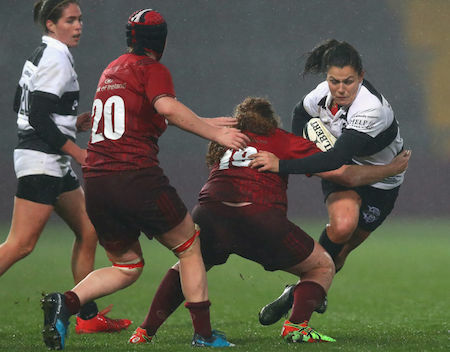 The 129 year-old Barbarians club launched their women’s team in 2017-18 with wins against Munster (19-0) and the British Army (37-0). They will take on England for the first time as part of a double-header at Twickenham on June 2. There are five North American-based played in USA duo Carmen Farmer and Hannah Stolba, and Canada’s Julia Folk, Amanda Thornborough and Andrea Burke. 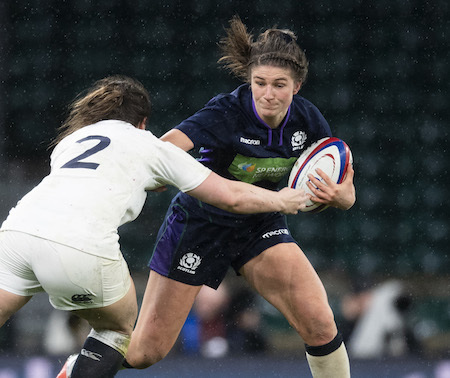 Wales supply experienced fly half Elinor Snowsill, flanker Alisha Butchers and Olympic Sevens wing Jasmine Joyce; Ireland’s representatives are Gill Bourke and Paula Fitzpatrick, while Scotland provide Montpellier-based centre Helen Nelson. 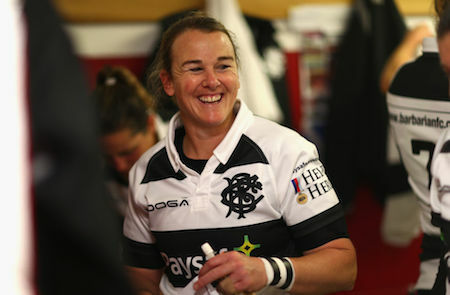 England have two representatives in prop Heather Kerr (Darlington MP Sharks) and lock Amelia Buckland-Hurry (Bristol Bears), who is the traditional uncapped player. Former Australia forward Dalena Dennison and Netherlands prop Samantha Martinez Gion) complete the group.